A Zillow questioner asks if he or she should wait to buy a home in San Diego until the market levels out. It is a question that seemed to beg an answer from me, if only because we are personally struggling with that very issue as I write this post. We have an opportunity to buy an Oceanside property that should yield a mildly positive cash flow with a 20 percent down payment. It is new construction, close to Oceanside beaches, and the only hurdle is finding financing that is reasonably acceptable for our circumstances. But that is another story. The Zillow questioner is asking how smart it would be to buy a home in San Diego as his or her abode in today’s market. So much depends on location and local market conditions. You may want to explore home financing options available today that might not have worked just a couple of years ago. The ACORN loan (available through Bank of America and Chase) is great for buyers earning less than $92,000 per year and who own no other real estate. The down payment is low and there is no PMI (private mortgage insurance). Loans are available up to $500,000, and buyers must attend a one-day class on home ownership prior to receiving an eligibility certificate. 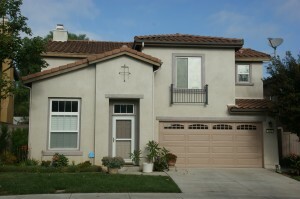 FHA loans are also making a recent strong appearance in San Diego, and we are using them with a number of our buyers. These loans offer 3 percent down payments on mortgages up to almost $700,000. There are additional fees involved with FHA loans, but motivated sellers may be willing to assist with these costs–and may also be willing to reduce the home price to meet FHA loan maximums. The best strategy is to find a very well-priced home (compare to area comparables)–or perhaps even a San Diego foreclosure— and secure the best available mortgage financing. It’s a raging buyer’s market that will benefit the courageous, hard-working and smart investor. This is advice I would offer to anyone considering the purchase of San Diego real estate in the sub- $700,000 range.